The Meyer Formula Large-Frame Twin Screw Models range in size from 815 - 1,315 cubic feet. These units feature precise baffle systems that provide fast transfer of feed front to back and rapid vertical movement which eliminates over-processing and excessive wear on your mixer. Electric 2-speed shifting, heavy duty tubular chassis and a 4 point scale system are all standard. A wide array of conveyor options for both front and side door models will handle almost any application. Best of all, mix quality is unmatched - Meyer builds the Formula for your success! Meyer gives you the opportunity to choose the features that your operation demands depending on daily usage. The F1015 model is available in a Standard or "Plus" version which has HD3200 planetaries and heat treated augers. The F1015 "Commercial" has these features plus 30" stainless steel side liners and 1" floor. The F1215 Model comes standard as a "Commercial" version! Meyer Formula Planetaries are sized large to handle heavy loads! These high quality planetaries are fully filled with oil so the upper bearings are bathed in oil - same as the lower. This avoids the added maintenance of greasing the upper planetary bearings like many other brands. Oil levels are monitored using these reserviors. In-Cab Electric 2-Speed shifting standard. Meyer Formula large family mixers operate at 27 RPM in Low Range & 40 RPM in High Range. You can expect efficient mixing, reduced stress on your tractor PTO and faster cleanouts with this simple system! The F815, F1015 & F1215 Formula Models feature mixer bodies supported by a Heavy Duty Tubular Undercarriage and a 4 point weighing system. Adjustable hitch is standard. Hitch length is dependent on front conveyor or side door models. This simple In-Line Quad Axle design is standard. It features 4 wheels in one plane to reduce tire scrub / wear. Meyer utilizes common tires with a big footprint - 385/65x22.5 recap truck tires. Oscillating Tandem package is available as an option. Meyer offers a optional hay retention package. This package is useful when high volumes of long stem material are in your batch. 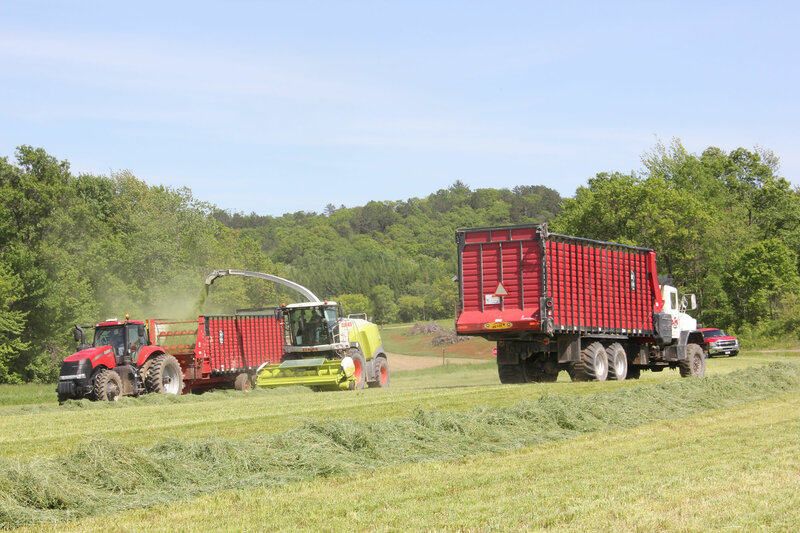 It keeps hay from boiling over the tank and maintains good contact between the bale and auger knives. 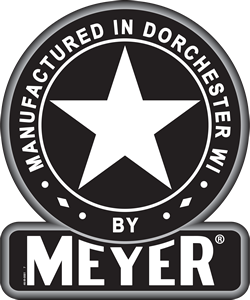 Meyer offers a wide variety of scalehead options from Digi-Star and Avery Weightronics. Weigh bars and junction box arrangement are standard with all models. Choose from base indicators, remote indicators, clickers, remote cab controlled, feed management options and more!